Highway 9 Productions is owned and operated by Producer / Engineer Sean O'Sullivan (AKA Seano or Crazy - a word you might hear a lot of during your recording session!). Sean has worked within multiple facets of the music industry with well over 15 years up his sleeve. 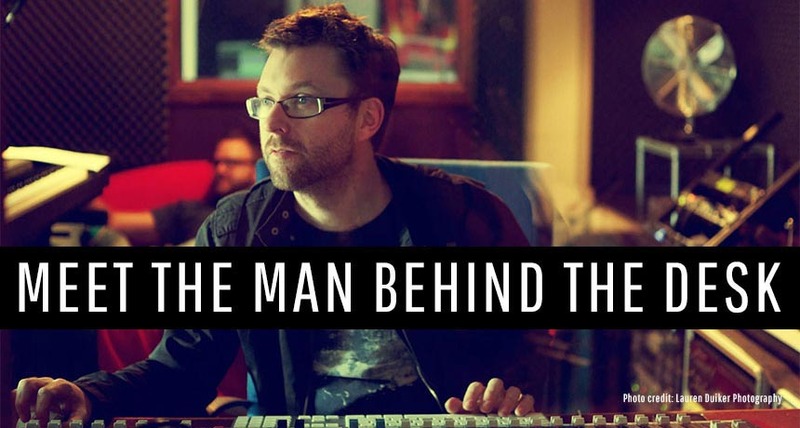 The man is about as passionate about music as it gets, and behind his mixing desk is where he feels most at home. He is a talented guitarist, learning classical guitar as a youngster (starting at 8 yrs of age) before naturally progressing to playing in numerous duo's and bands. Sean has studied and played everything from the Blues to Commercial Pop / Rock ' n' Roll; with Pink Floyd and the Beatles being a huge influence in his quest to becoming a great musician himself. Having done the gig scene for many years (he knows how you feel), his focus now is primarily recording and producing the best sound possible (for you). Sean never tires of his work because he truly loves it, and is always looking to better himself and the studio during the process. His talents are vast and can help with all areas of production, with a knack of knowing what a track needs to make it something special. From simple organic sounds to full electronic production, as well as advice, guidance & direction on songs for those who need or want it. (PLUS SOME KICK-ARSE GEAR AND SERVICE). Retro dance humour aside, it's all about a relaxed atmosphere to bring out your best at Highway 9. An easy 30 mins from Melbourne in the leafy Eastern Suburbs, there's less time for hipster beards and fixies and more time to relax in an attitude-free environment. 'Ego is a dirty word' - we're not name-dropping scene stars (although we've worked with some BIG names across a bunch of genres), we're a genuine crew. Coupled with the latest, industry-standard gear, we make sure the only star is you. 20 years experience, 10 as a professional engineer / producer. Multi purpose room - green screen / band photos / video clips / EPKS. Facilities onsite to cook food or keep fresh - BBQ / Microwave / Stove and fridge for your beveridge plus an Ice cold water stand; Tea / coffee & biscuits provided OR if the resident cook is on duty (Sean's wife Lisa) you might get lucky and she will cook up something for you! We'll work with any of your ideas to make some magic happen! Money-back guarantee* (conditions apply, ask upon booking). Highway 9 prides itself on customer satisfaction and quality of product. First timers to the professional are equally welcome - everyone has to start somewhere! Access to professional session musicians (budgets to suit needs), with very competitive rates available. We also offer a student discount of 20% off day rates if you qualify.